World Fantasy Convention 2014, anyone? Last year’s World Fantasy Convention in Brighton was a blast. There were lots of interesting panels and kaffeeklatsches, lots of authors milling about the place who I’d read, lots of other authors who were patiently sitting in my to-be-read pile (which, in the spirit of Bill Hicks, can now only really be measured in bookcases), and lots of authors who weren’t on my radar but now very much are. There were engaging readings a-plenty, a cool art show, surprise appearances – and the dealers room! Ohhhhhhhhhhhhhhhhhhh my. How I left that little haven of geeky splendour with any of my credit rating intact is beyond scientific explanation. So, yeah, pretty damn awesome. But then it was my first convention, so maybe I was swayed by the novelty of it all. Maybe I’d hit lucky on a really good shindig. The rather splendid She soon put that theory to the test and acquired a pair of tickets to attend the British Fantasy Society’s FantasyCon 2014 in York. Guess what? Another fine old time was had there too! It was good to catch up with now familiar faces and putting a few faces to names whose work, until then, I’d only read in magazines like Black Static and Interzone. (Hat-tip to Ian Sales for helping me plug a few cavernous holes in my sci-fi reading.) There were some fascinating panel discussions, book launches (including one for Gary McMahon’s latest book, “The End”, giving me the opportunity to hold up the signing queue for ages while I talked his ears off) – and the dealers room! Ohhhhhhhhhhhhhhhhhhhh my. I bought so many books that I pretty much induced a flat tyre on the way home. (Two notably poignant purchases were made. 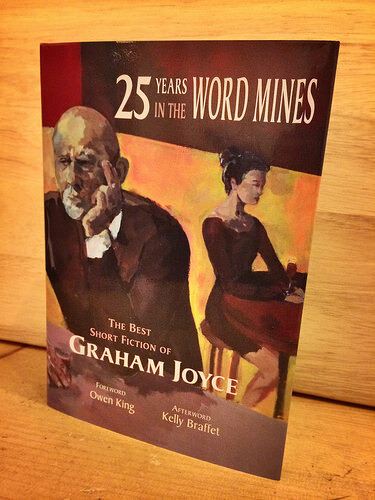 First was PS Publishing’s collection of Graham Joyce’s short fiction, 25 Years in the Word Mines. Unfortunately, Graham’s health had deteriorated in the run-up to the convention and he sadly died shortly afterwards. 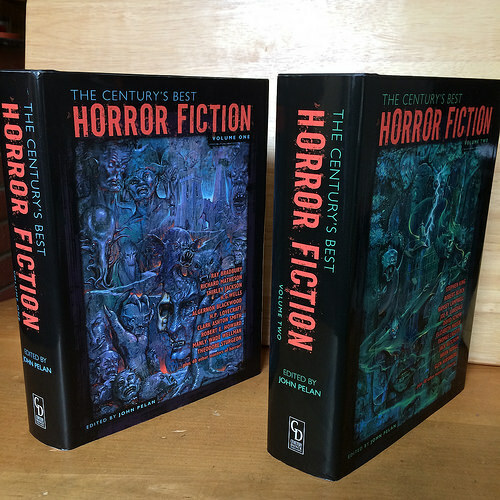 Second was Cemetery Dance’s The Century’s Best Horror Fiction. So, yeah, with only two conventions down, I can safely say I rather like these get-togethers. Yes, there are panel discussions a-plenty, there are readings galore, there are more kaffeeklatches than you could shake a gnarled wooden staff at, there are numerous film showings and artworks to gawp upon – and the dealers room! Ohhhhhhhhhhhhhhhhhhhhhh my! Oh, and of course there’s D.C. itself. It’s looking pretty good. If I don’t get shot for jaywalking, or slapped in Guantanamo Bay for goofing about, then I hope to blather all about it sometime upon my return. Not me. Not quite, anyway. I’ll still be fairly easy to spot, though, what with my silly facial hair and all-new Gordon Freeman specs. (Three weeks later and my inner gamer is still squishy with nerdish glee about them.) If in doubt, you’ll probably find me in the dealer’s room buying every book and magazine in sight and having them all sent to the hotel room. Incidentally, if anyone knows a good black market dealer for internal organs to help finance my book-buying habit let me know. I mean, they won’t be my organs, of course, but they don’t need to know that. Click the cover for purchase links.